Women in Politics, 2017. 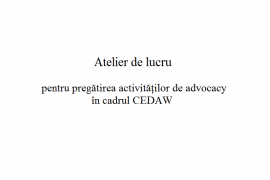 What place does Moldova occupy with 22.8% women in the Government and 22.2% in Parliament. 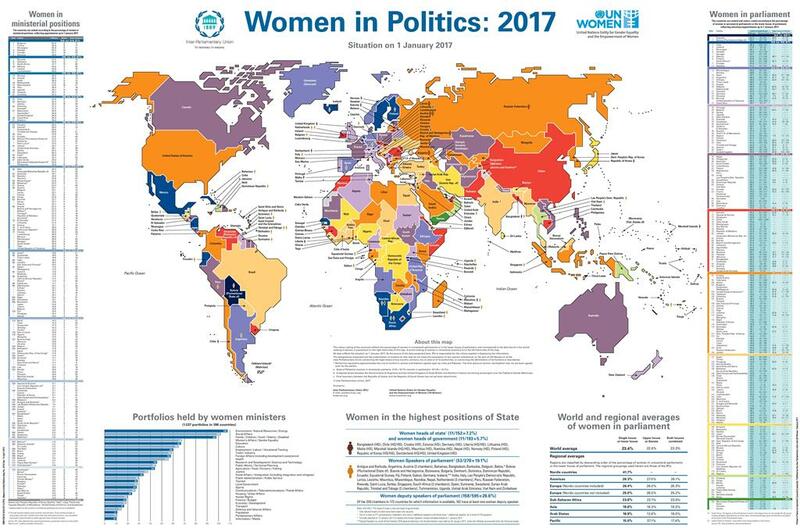 UN Women launched the map “Women in Politics: 2017”. With five members of the Cabinet of Ministers and 23 deputies in the Legislature, Moldova ranks 79th in the world with 22.8% women in Legislative and 22.2% in the Executive, even above the European average chapter. 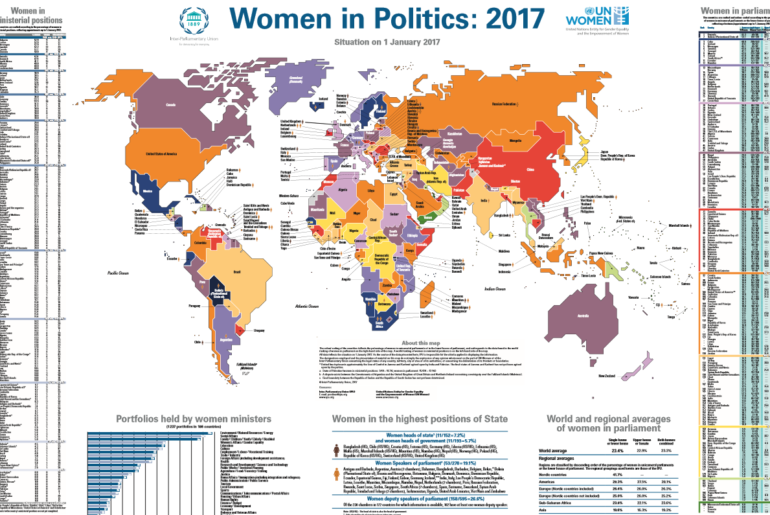 The “Women in Politics: 2017” map is the overall situation of women’s presence in the Legislature and Executive on January 1, 2017, which includes the situation of women in the highest positions in the state and women’s ministerial portfolios in 193 countries of the world. 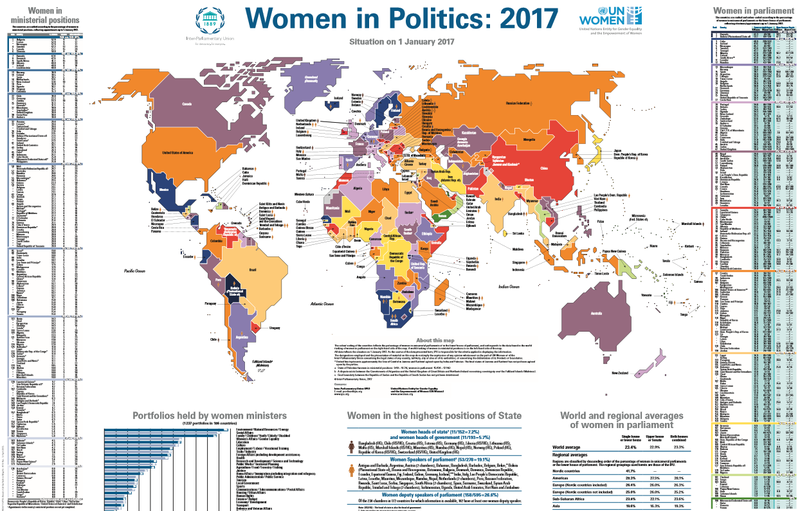 The global average of women in national parliaments has increased only slightly, from 22.6 per cent in 2015 to 23.3 per cent in 2016, and women’s involvement at ministerial level is now 18.3 per cent. At regional level, in Europe the total percentage is 22.5 percent, with a slight increase compared to 21.6 percent in 2015. It is worth mentioning that at present four ministries are headed by women in the Republic of Moldova: Ministry of Education – Corina Fusu; Ministry of Culture – Monica Babuc; Ministry of Labor, Social Protection and Family – Stela Grigoraş; And the Ministry of Health – Ruxanda Glavan. Also the ex-member of the Cabinet of Ministers is Gagauz Bashkan, Irina Vlah. 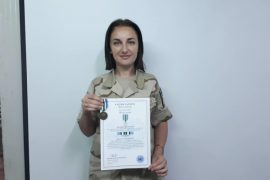 In the Parliament, women are represented by 23 deputies out of 101, of which liberal-democrat Liliana Palihovici is also vice-president of Parliament.